This pendant is designed by Danielle Morgan. 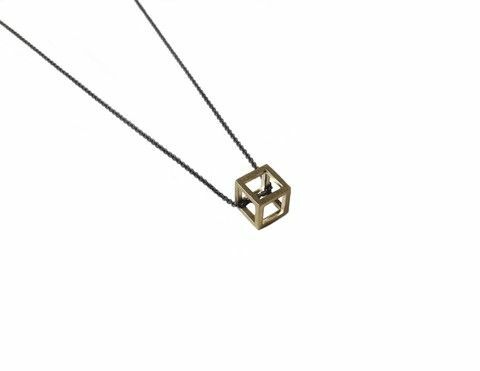 These cubes are available in sterling silver or bronze. They can have either an oxidized silver (black) chain or a shiny silver chain.